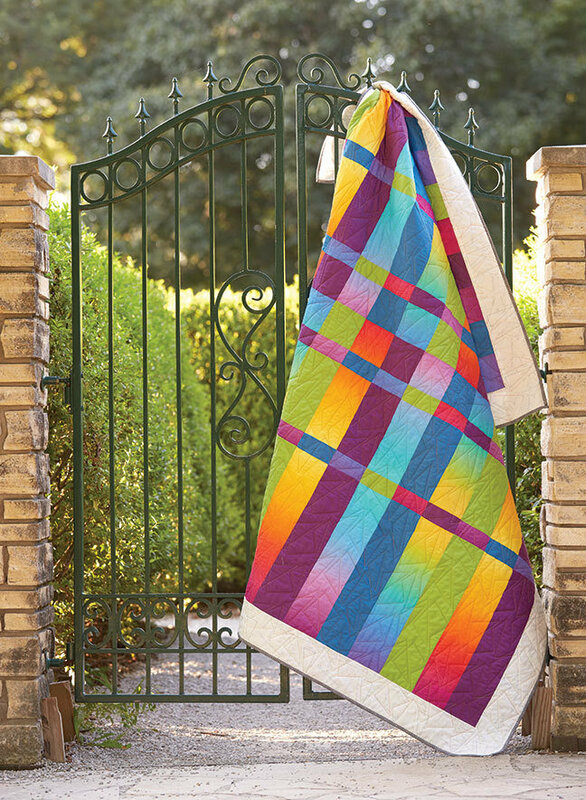 The use of ombré fabrics in this simple design creates a striking quilt that is quick and easy to assemble. You just need to choose six fabrics for the center of your quilt and one more for the border. All pieces are cut into 5-inch strips so there’s not a lot of confusing math to deal with. This pattern also works well using large-scale, bold prints in place of the ombré prints. 63" x 84" finished size.